Is it a case study in how tough the economic environment is for today’s businesses or simply a great leap forward that levels the playing field for small businesses looking to gain the same transparency, efficiency and management tools that used to be reserved only for monster capital corporations? It would seem its both. The move into cloud computing for business management needs seems to be more out of necessity now as opposed to novelty. Case in point this recent eWeek article “Cloud Computing Remains Top Investment Priority” that echoes what we’ve been hearing from prospective clients. 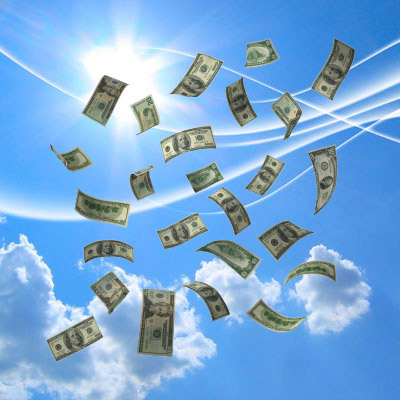 “…A survey has revealed that most businesses recognise that cloud computing will be their top investment priority in 2012. Fifty percent of respondents to a recent Unisys online poll said cloud computing is their top IT investment priority for 2012. This is the second straight year respondents to a Unisys poll named cloud as the chief priority for IT investments in the coming year. In a similar poll conducted in December 2010 and January 2011, 44 percent of 262 respondents said cloud computing topped their IT priority list for 2011. The more recent poll, which drew 300 responses, was conducted on the company’s website in September and October 2011. AnaTango’s own Cloud Business Management Suite (Anavation, Anavoy) is primed to fill this need by offering extremely powerful strategic, operation and inventory management that can continuously (and collaboratively) track key performance indicators down the individual assignment/task level for each employee. This level of business management common to Strategy Deployment Planning (SDP) was once something only larger companies with giant IT budgets could afford, normally through a miasma of Enterprise Resource Planning (ERP) products folded together into a workable (yet inherently expensive) solution. Compatibility issues aside, ERP amounts to the old way of doing things built in era where broadband/internet connectivity fired up with the sound of dial tones and pings (perhaps you remember those days of CompuServe, AOL or Prodigy?). Today’s ERP-based systems are still the norm for most businesses, but the price of admission (service contracts/seats) for most small/medium businesses remains a budget breaker. This was the reason why AnaTango built its Cloud Business Management Suite from the ground up to the cloud to answer these challenges with a fully customizable, modular interface (known as Adaptive Management Infrastructure) that brings the full power executive-level SDP management into the hands of every business. As seen in this article, large multinational corporations aren’t keen on sitting on the sidelines as SMBs lead the charge into cloud services. Cloud services are gaining momentum among large organisations, marking an expansion from the traditional user base of small and medium-size businesses (SMBs), according to new research. With most leading economists in agreement that the global macro and local economic environment will see plenty of headwinds/challenges into 2012, it makes sense businesses large and small are looking to maximize their shrinking IT/management services budgets. The lure of a multi-platform, fully collaborative/transparent, management platform without the large hardware/IT costs is one that is sure to draw an even greater percentage of businesses into the cloud services fold for 2013 and beyond. This entry was posted in Uncategorized by robmayeda. Bookmark the permalink.